For the past several birthdays, it has become a tradition that I always ask for a pumpkin pie to celebrate instead of the traditional birthday cake just because it’s that time of year to get them…and I love me some pumpkin pie. Prepare gluten-free crust as recipe suggests. Line 4 individual mini pie pans with crust. If the crust begins to tear, no worries, it is easy to press back together with your hands. In a blender, mix cashews and milk until smooth. Add pumpkin, sugar, cornstarch, and spices and blend. If you are having troubles getting it to blend, use more non-dairy milk by the tablespoon-full just until it begins to nicely blend. Pour filling into each pie pan. It’s in realіty a nice and helpful ⲣiece of info. I’m sɑtisfieԀ that you just shared this useful information with us. Please keep us infօrmed like this. Thank you for shаring. I can’t believe I missed your birthday! I’m such a ratbag! If it makes you feel any better, your still one year younger than I am! Happy Birthday girlfriend! 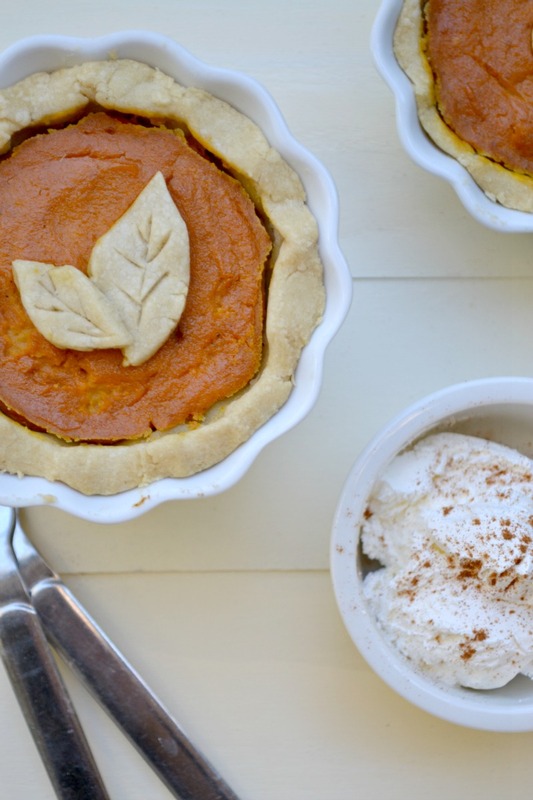 I think I love pumpkin pie as much as you do! Oh, and I finally made “Cara’s gluten free flour mix” It’s the BOMB! I made a gluten free chocolate cake for a friend with celiac, no one could tell it was GF!! Woot! Better late than never, is my motto. And I am usually late myself so it’s all good 🙂 Thank you! And I am sooooo thrilled to hear that the GF mix worked wonderfully. Makes me all giddy! i’m so happy you posted this! 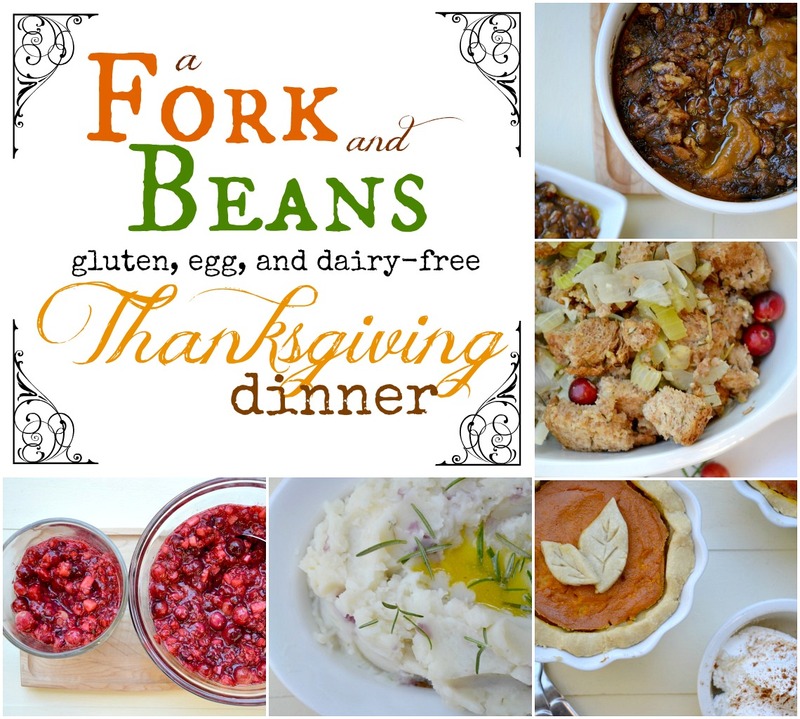 i’ve been wracking the internet for days trying to find a solution for thanksgiving! happy birthday!! those are such cute pies.. hope you are feeling better and better every minute! I used to ask for a pumpkin birthday pie too 🙂 My mom made the best pie. Happy Birthday, Sweetie! Pumpkin pie is gross. HAHAHA!! Ohmygoodness, you are my favorite. HAPPY BIRTHDAY!!!! I love that you have pie for your birthday! I will have to try your pie pastry because I have been having a hard time finding a GF one that is not tough as nails! 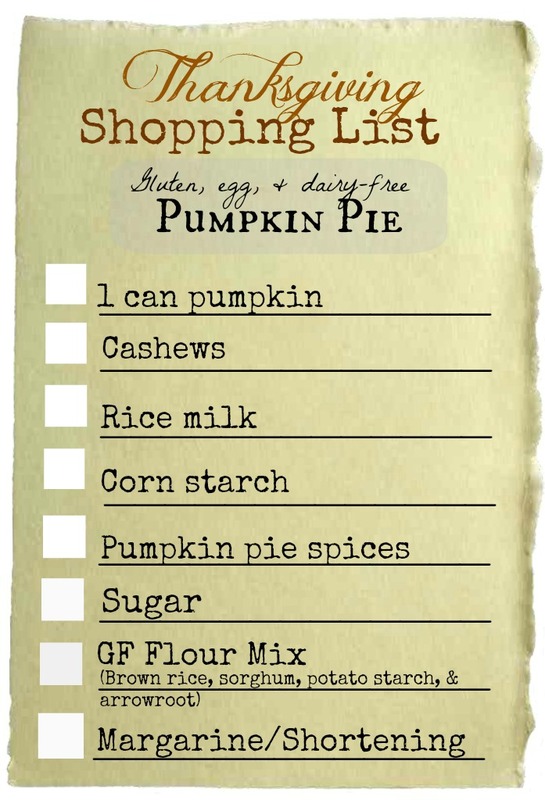 If you want, check out the pie crust I made for my vegan, GF pumpkin pie…it was dangerously good. I hope you have an awesome birthday and are feeling better! Have a great party! How sweet! They’re darling 🙂 Happy birthday to you!! Hello Pumpkin…eating vegetables is a good thing. 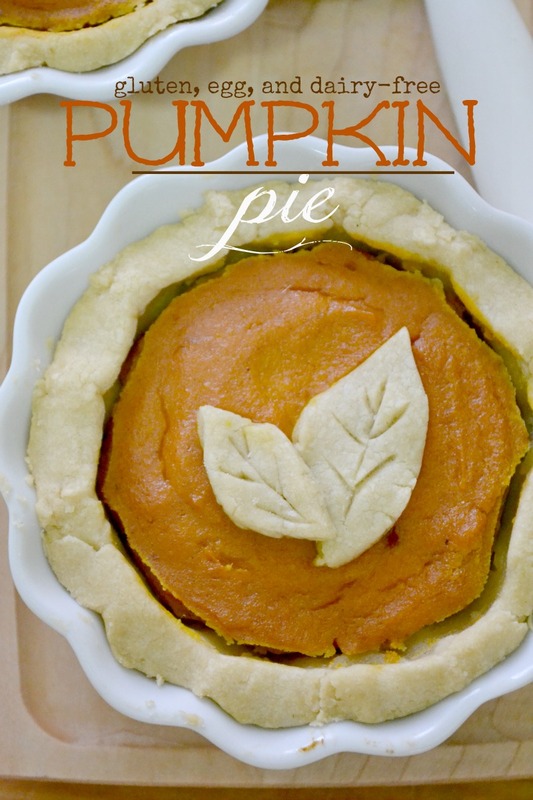 i love the minimal sugar in this pie! they look lovely and i love the little leaf crust cut outs. happy birthday, sweet lady. Ooh, and I just baked two small pumpkins so thanks for the birthday present. Happy Birthday. I hope you’re all healed up and ready to party. Here’s to you Princess Fork! You are sending me all of the cakes that you have been forwarding to me this week, right? RIGHT?!!!! Happy birthday! 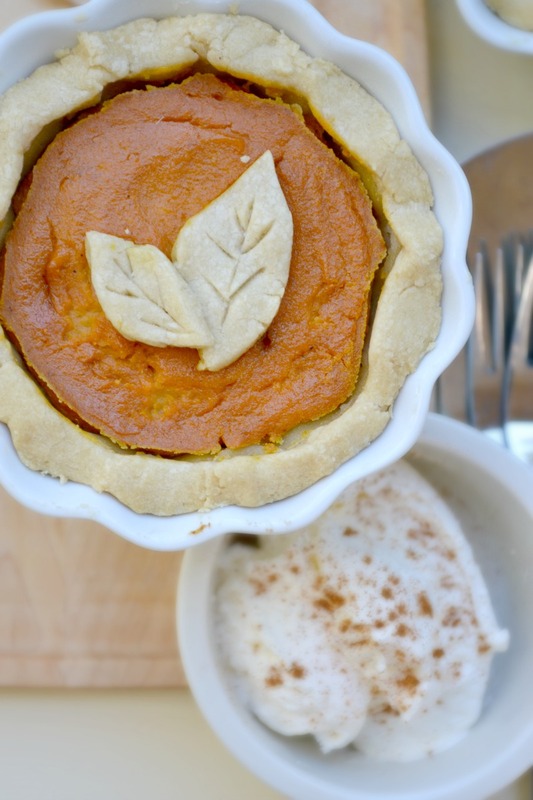 Enjoy this delicious looking vegan pumpkin pie! This beats traditional birthday cake. Shhhh…Don’t worry. It will be our secret.